It’s asparagus season – my favourite food season of all! I love asparagus. It has to be proper, fresh, in-season, British asparagus though, not that tasteless stuff they fly over from Peru all year round. The asparagus season is woefully short, only a couple of months at best, and so at this time of year, I usually just get as much as I can. 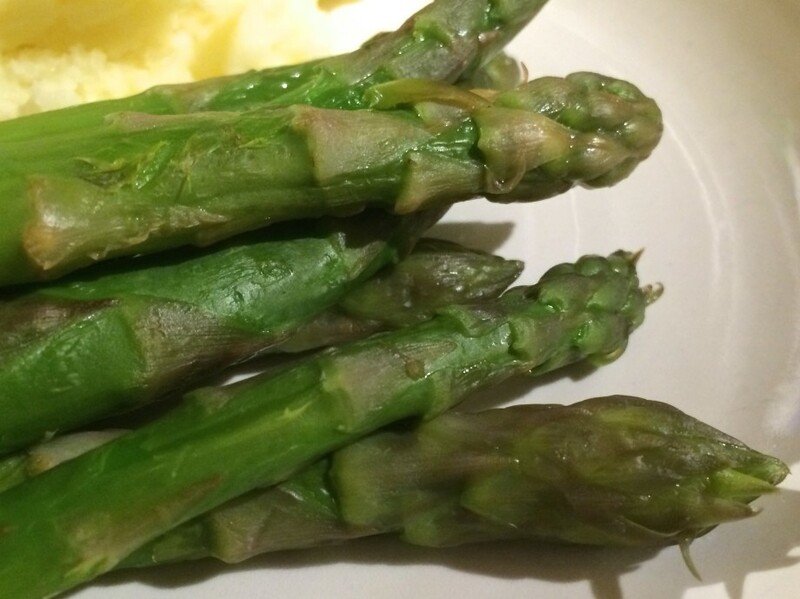 So, I was delighted to get an email last week from Riverford announcing that I could now add asparagus to my veg box, and I did so immediately. Looking at the asparagus recipe in The Prawn Cocktail Years, I realised that it wasn’t really one recipe, but four. 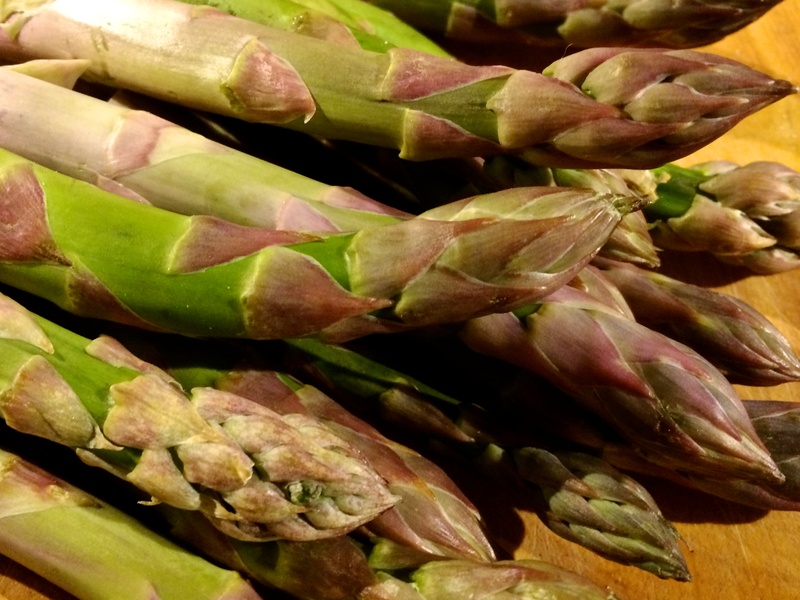 The recipe is for plain, boiled asparagus, and then a choice of four sauces to go with them. It was clear that I wasn’t going to serve all four together at once, I was going to have to do this four times. So, my initial recipe count was off. Instead of 136 recipes, there are really 139. I updated the site, and the progress meter in the sidebar dropped from 11.03% to 10.8%. Oh well, I’m sure I’ll make up that lost ground soon enough. To start off the season, I decided on the Lemon Butter. It looked by far the easiest. And it really was easy. 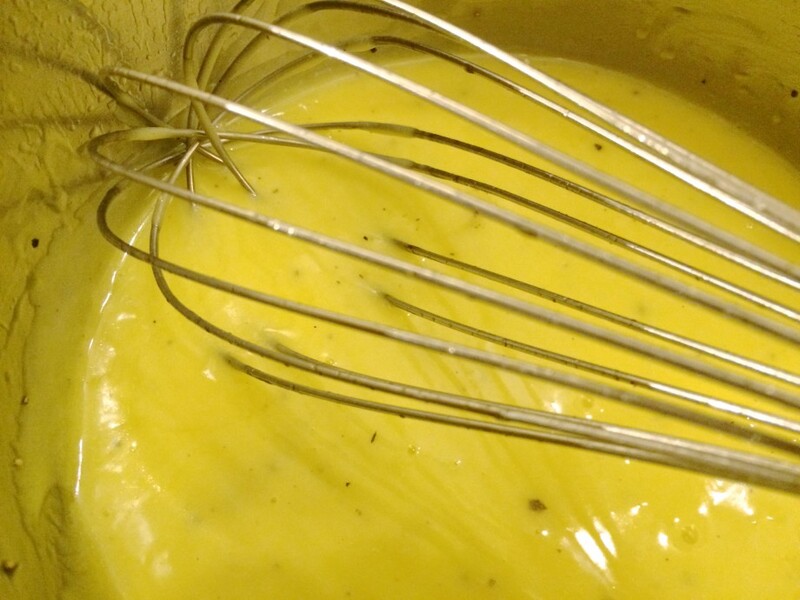 I reduced some lemon juice in a pan and whisked in some butter. To finish, add a little salt and pepper, and a final squeeze of lemon juice. Simple, and very tasty. Cooking the asparagus was equally simple. I often roast my asparagus as I think it concentrates the flavour wonderfully, but here I am instructed to boil it, in a large pan of salted water, for about three minutes. Mine took a little longer than that to cook – these were thick chunky spears, not fine, delicate ones – but a few minutes later they were ready. The verdict: well, this was my first asparagus of the season, and it was delicious. The lemon butter was beautifully tangy and made an excellent accompaniment. 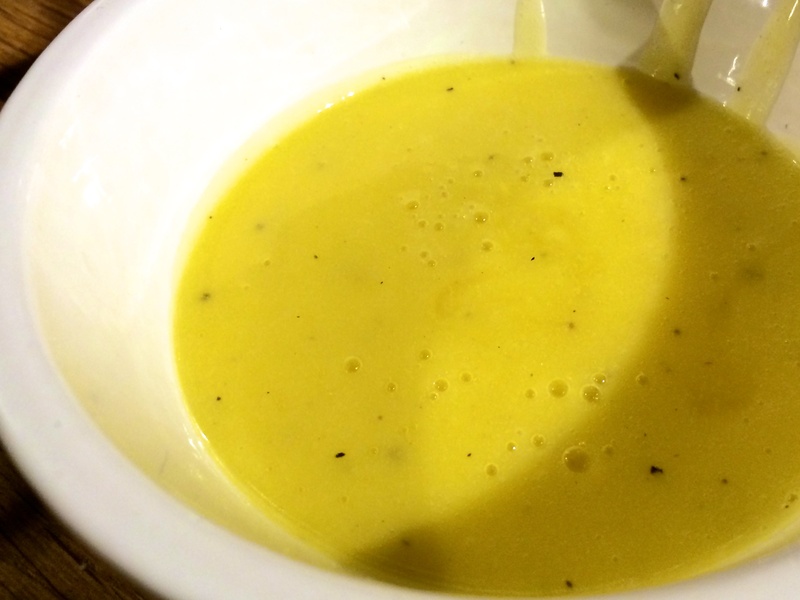 There are three more asparagus sauces to make, and asparagus soup, so I’d better get these done before the season ends – it would be a shame to have to make do with the imported stuff. What’s the best culinary thing about spring? This was perfectly cooked, sweet and juicy and the lemon butter dip was delicious. So good in fact that next morning I had some left-over mash with the remains of the butter and Serano ham. It was like baked potato for breakfast.